Each shelf-stable food box contains five days of food to nourish seniors should extreme weather interrupt normal food sources. With food insecurity growing among older adults, it’s particularly important for seniors living in hurricane areas to be prepared with at least five days of non-perishable and nutritious food in their homes. Meals on Wheels South Florida today announced a vital expansion to its Hurricane Care Pack initiative providing thousands of Medicare-eligible seniors with five days of nutritious and shelf-stable food to better prepare them for potential food interruptions that could occur during the 2017 hurricane season. “Being prepared for catastrophic weather events with sufficient food, drinking water, prescription medications and other amenities is particularly important for seniors in Florida and in coastal communities along the Atlantic and Gulf of Mexico coasts,” said Jessica Chen, MD, Chief Quality Officer at ChenMed, which is helping sponsor the 2017 Hurricane Care Pack campaign. “It can be hard for seniors to complete all needed preparations in the few hours immediately preceding a hurricane, so we’re helping Meals on Wheels prepare local seniors with deliveries of Hurricane Care Packs containing five days of nutritious and shelf stable food.” added Dr. Chen. Millions of older Americans are at risk for hunger. According to the National Council on Aging, 10.2 million older Americans faced the threat of hunger in 2014, representing 15.8 percent of adults over 60 years of age in the United States. With food insecurity growing among older adults, it’s particularly important for seniors living in hurricane areas to be prepared with at least five days of non-perishable and nutritious food in their homes. On August 9, the National Oceanic and Atmospheric Administration (NOAA) reported that this should be an above-normal season with 14 to 19 named storms; with five to nine hurricanes, of which two to three could be major hurricanes. Today, during an 11:00 AM special Hurricane Care Pack campaign kick-off event at the Southwest Focal Point Community Center in Pembroke Pines, 200 to 400 seniors will be given free Meals on Wheels South Florida Hurricane Care Packs containing five-days of non-perishable, shelf stable food by some two dozen Chen Senior Medical Center doctors and volunteers. Then, during the next few weeks, drivers of the Chen Senior Medical Center vans that provide courtesy transport to seniors seeing their Chen primary care physicians and specialist doctors will be making hundreds of home deliveries of Hurricane Care Packs directly to the homes of at risk seniors among the more than 1,200 on the Meals on Wheels waiting list for weekly in-home food deliveries. Chen Senior Medical Center and CBS EcoMedia are encouraging businesses, diverse community organizations, and individuals to make charitable donations to Meals on Wheels South Florida, so it can become an even stronger beacon of hope/help to tens of thousands of area seniors at risk for hunger. Financial gifts could fund more deliveries of Hurricane Care Packs, and help reduce the waiting list of more than 1,200 seniors still needing weekly home food deliveries from MOWSF. Meals on Wheels South Florida serves over 10,000 clients throughout South Florida annually. Funded through the State of Florida’s Department of Elder Affairs and the Aging and Disability Resource Center of Broward County, with funds made available by the Federal Older American’s Act, Fair Share dollars and Private Donations, Meals on Wheels South Florida annually provides over 1.2 million meals; conducts 2,400 in home assessments; supports hundreds of client companion pets; and collaborates with government agencies and other nonprofits to deliver its mission. Chen Senior Medical Center is a family-owned primary and specialty care practice committed to delivering superior health outcomes to Medicare-eligible seniors. 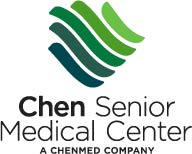 Part of the ChenMed family of companies that’s transforming healthcare for the neediest populations, Chen Senior Medical Center offers best-in-class care for seniors benefiting from Medicare and Medicare Advantage supplemental insurance. Its 12 locations (Aventura, County Line, Hallandale Beach, Hialeah, Lauderhill, Miami Gardens, Miami Lakes, North Lauderdale, North Miami, North Miami Beach, Pembroke Pines and West Kendall) are well known for quality of care, patient experience, and affordability. For seniors most in need of care, high-quality health care is too often beyond reach. ChenMed was founded to bring concierge-style medicine – and better health outcomes – to the neediest populations. ChenMed serves seniors with low-to-moderate incomes, most managing multiple chronic conditions, 10 U.S. markets in six states through more than 40 senior medical centers. ChenMed’s goal is to improve health outcomes and create value for patients, physicians, and the health care system. To do that, ChenMed relies on innovative technology and a talented and resourceful team of providers. Founded by Dr. James Chen, a Taiwanese immigrant and cancer survivor, the company provides unrivaled care to seniors – particularly those enrolled in a broad range of Medicare Advantage plans in Florida, Georgia, Illinois, Louisiana, Kentucky, and Virginia. EcoMedia’s mission is to harness the power of advertising to effect positive social change. Founded in 2001 by social entrepreneur Paul Polizzotto, our programs channel a portion of brands’ ad-spends on CBS broadcast or digital media to critical environmental, education, veterans’ and wellness projects by some of America’s most effective nonprofits. EcoMedia's innovative and proprietary business models have reimagined the advertising and philanthropy landscapes, catalyzing the ordinary commercial—and media, in general—into tangible social impact that empowers people everywhere to contribute to a healthy and sustainable world. Connect with us on Facebook, Twitter, or EcoMediaCBS.com. Sample Hurricane Care Pack box containing five days of non-perishable food.